If you would like to check out Jen at http://jenryland.blogspot.com.au and her YA Romantics site I’d appreciate it. 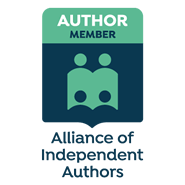 Jen is putting up Indie Inbox on December 31 with a list of about nine Indie Writers and their books. My book Collision is included. Visitors to the site vote on their favourite book or the book that most appeals to them. Then Jen reads and reviews the winning book on her blog. The voting will remain open for two weeks. You are welcome to use social media to encourage others to check out the entire list and vote too! Thinking of what to read this Christmas?